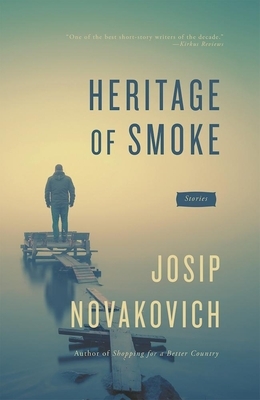 Short story writer, novelist and essayist Josip Novakovich returns with his first collection of stories since being named a finalist for the prestigious 2013 Man Booker International Prize. In Ex-Yu, he explores the major themes of war and exile, of religiosity and existentialism, that have defined his fiction and earned him a place among the pantheon of international writers addressing contemporary literature's most pressing questions. Masterpieces such "Honey in the Carcase," "White Mustache," and "Acorns," unflinching in their humanity and realism, take us into the brutal despair of the Bosnian War. In between, dry humor and world-weary wisdom infuse such exile preoccupations as soccer, terrorism, and cigarettes. Taken together, this latest collection comprises a bravely intelligent mosaic of what it means to be torn from one's country and one's self. Josip Novakovich is a Croatian Canadian writer and the author of sixteen books, including short story collections, collections of narrative essays, and a novel. His work has been translated into Croatian, Bulgarian, Indonesian, Russian, Japanese, Italian, and French, among other languages. He has also published hundreds of short stories, poems, and essays in American and international journals and anthologies. He teaches English at Concordia University in Montreal, Canada.